This is a multi-step word problem. But equally important is the fact that this problem contains irrelevant information. 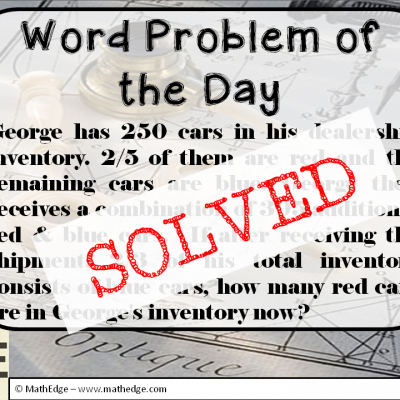 Now, I have been harping on "irrelevant information" for the pass few days because I really want us to be sure this topic is covered in our teaching of word problems to our students. Life... as it is presented to us is in the form of word problems. 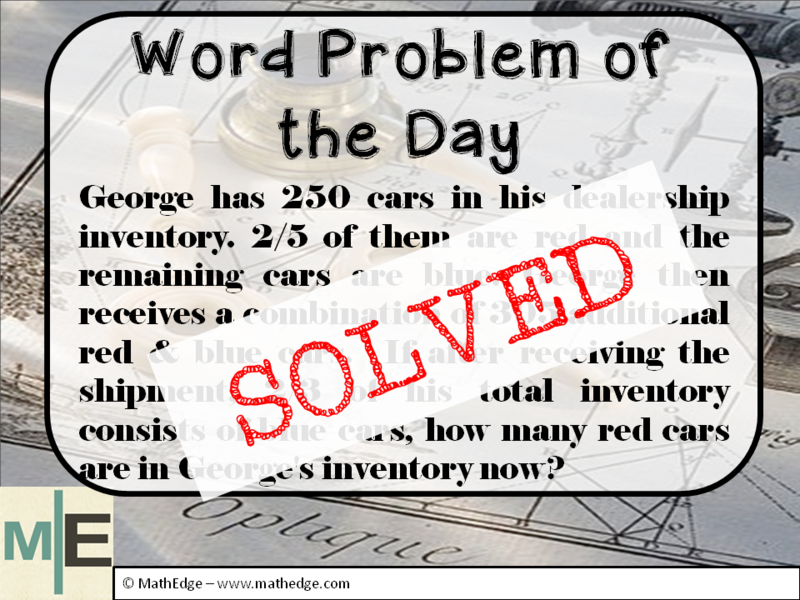 Several facts that are included in life's word problems are irrelevant. So we need to be ready for the "real world" as far as our approach to solving word problems are concerned. Here are a few tips on identifying irrelevant information in a word problem. Read the actual question that is being asked two times. 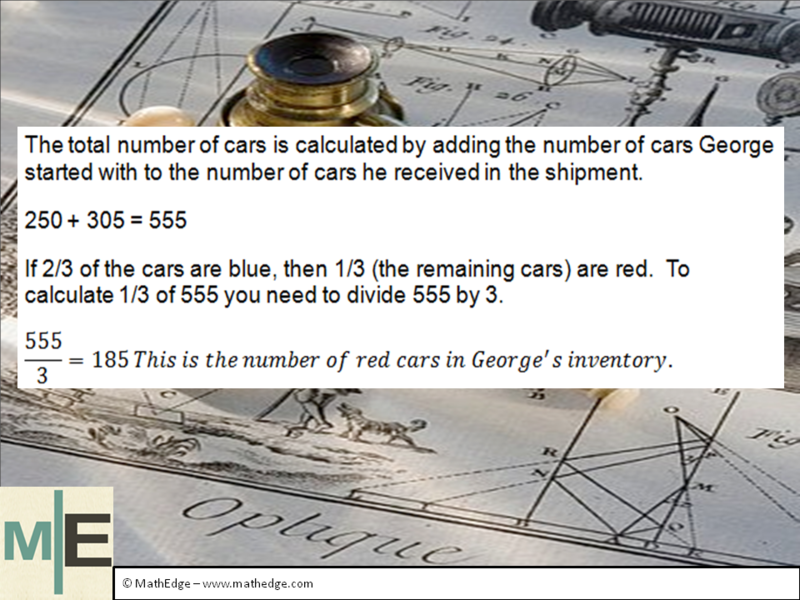 So in this case, the question being asked is: If after receiving the shipment, 2/3 of his total inventory consists of blue cars, how many red cars are in George's inventory now? Determine what information is needed to answer the actual question. What should come to mind is "the total number of cars"... "this is what I really need to find out"... "the total number of cars"
With these three main procedural steps in mind we can see that the statement "2/5​ of them are red and the remaining cars are blue", is irrelevant information. In fact, if you were to remove that information from the problem altogether it will make no difference as far as arriving at the correct answer to the question is concerned. What do you think? What are other ways of solving this problem or other observations you noticed?